Dating to the mid-1950s, TYCO’s The General (No. 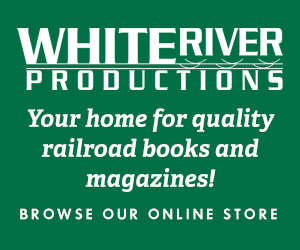 T-8) train set included a 4-4-0 steam locomotive with tender, as well as the 1860s combine and coach passenger cars. The original contents provided 14 sections of brass section track that included a straight terminal section, standard 9-inch straight section, and a dozen 12-inch radius curve sections. The set also came with a portable rerailer-uncoupling ramp. The set is old enough that it predates both the 1970s “Brown Box” and 1960s “Red Box” eras. Original TYCO releases of the 1950s came in light blue packaging. 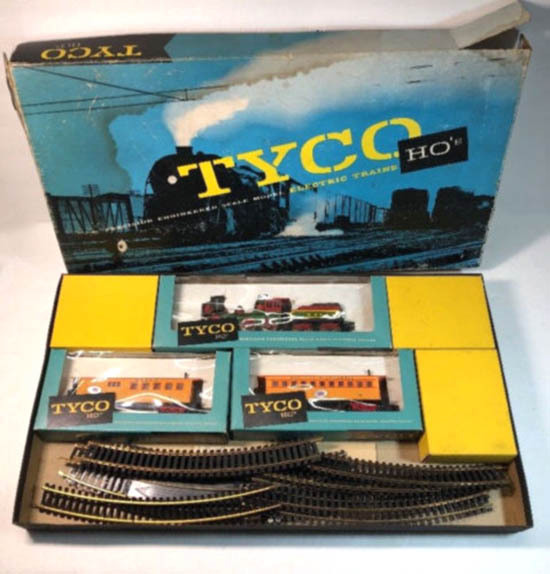 By TYCO’s 1960 catalog, The General train set was gone. You’ll find The Dixie Belle (No. T618) was a similar release. This set replicated The General 4-4-0 steam locomotive with tender decorated for Western & Atlantic and also provided 1860s passenger cars. The Dixie Belle differed by providing an additional coach, making its train total three cars with one combine and two coaches. The passenger car models, decorated in yellow with red, also featured Western & Atlantic markings.